The GTA’s Older, Poorer Cousin Works to Rebuild. The Hamilton-Niagara region contains the census metropolitan areas of Hamilton, St. Catharines-Niagara and Brantford. Lying at the western edge of the Greater Toronto Area, these CMAs contain well-established industrial and agricultural towns and cities. The area’s natural beauty, particularly the Niagara Escarpment, have also helped to foster tourism. The age of these cities has served to increase their apartment stock, giving the whole area a good sized market. It has also raised vacancies and kept rents low. The area’s distance from the Greater Toronto Area and its dependence on heavy industry has hurt Hamilton-Niagara over the past thirty years. Major employers such as Stelco have either closed their doors or laid off workers, thanks to global competition. In addition, the area’s location south of Lake Ontario has produced a transportation chokepoint, such that trade centred around Detroit, Chicago and the American Midwest tends to bypass this region and follow Highway 401 between Toronto and Windsor. Hamilton-Niagara has seen little of the growth of high-tech jobs enjoyed by Waterloo Region. That said, the cities of Hamilton-Niagara are working hard to diversify and strengthen their economies and revitalise their inner city neighbourhoods. Some, like Brantford, have invested in the education sector, while others like Niagara Falls have embraced tourism as the way forward. Those municipalities closest to the economic activity of the Greater Toronto Area are having an easier time of things, however. There is optimism that Hamilton will renew and grow as connections to the rest of the GTA increase. Long one of the most important industrial centres in Ontario, the city of Hamilton has, for the past two decades, struggled to redefine itself in the face of major changes in the manufacturing economy. A large and diverse town boasting significant commercial centres and a major university, Hamilton nonetheless has a split personality. New industrial development and suburban development south of the Niagara Escarpment (Hamilton Mountain) is balanced by a struggling downtown, vacant brownfield land and poorer neighbourhoods in the centre city. In many ways, Hamilton is to the GTA’s west end as Oshawa is on the GTA’s east. Both are well-established cities with a strong manufacturing base that have kept their identities in the face of sprawling development from the GTA. Both have or had large employers which are now facing competition from cheaper markets elsewhere. Hamilton is a larger city, however, and transforming a primarily manufacturing-based economy to a diverse service-based one is more of a challenge. 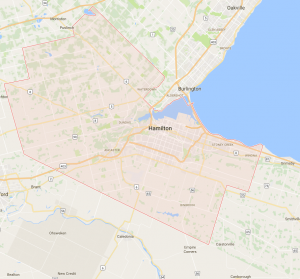 Hamilton also does not have the transportation connections Oshawa has. All-day GO train service stops short in Burlington, and one of its highway connections to Toronto passes through a choke point across the Burlington Bridge. This has produced a large but somewhat depressed market for apartments in the city, in spite of an unemployment rate that’s below the national average. Boasting 31,377 apartment units within the City of Hamilton proper, vacancy rates are stubbornly high, staying above 4%, with average rents below the provincial average. This is particularly a concern at the north end, where job losses and deindustrialization are seriously depressing land values. In neighbouring Stoney Creek and Grimsby, the picture is a little better. The average rent surged 6.21% in 2006, pulling it above Hamilton’s average, and has stayed relatively static ever since. These numbers, however, are all well below the provincial average. Hamilton’s large and well-established market has also left it a number of properties that were built before 1960. These are dragging vacancy rates up and average rents down as these properties are generally of lower quality and in need of repair. 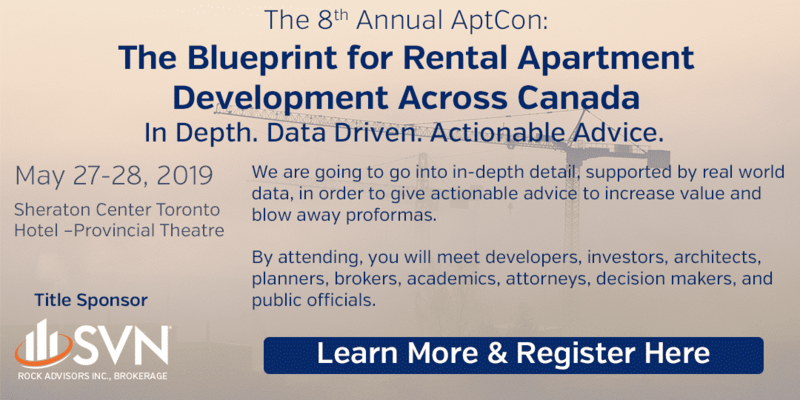 Hamilton’s low rent rates and large market do present an opportunity as prices increase elsewhere in the Greater Toronto Area and transportation connections improve. It is possible to “pay by the pound” here, as the risk has largely been priced into the market. It is less likely that investors will overpay in Hamilton and those that buy below replacement cost can take advantage of a light tax disparity between apartments and homes for good repositioning opportunities. The diversified marketplace also makes it easier and more lucrative to buy in. By holding onto properties for the long term, investors in Hamilton can benefit when the market improves. The City of Hamilton is working on revitalising its downtown core and old industrial lands. It is also expected that improved transportation connections, including all-day train service to Hamilton and Stoney Creek, will bring an influx of commuting residents, looking for bargains. Although we have ranked Hamilton low, it’s important to note that the city has a lot of supply which can be bought by the pound, and the risk has largely been priced into the market. For the foreseeable future, investors are less likely to overpay in Hamilton. Opportunities exist in student housing around McMaster university, especially strong repositions for affluent students. Better markets will continue to exist in the west end, the Mountain and in Stoney Creek. This is where supply will continue to be thinnest. The revitalising downtown will be a good long-term investment. A large number of established apartment operators dwarfed only by a large number of apartment buildings. There’s something for every buyer in Hamilton.